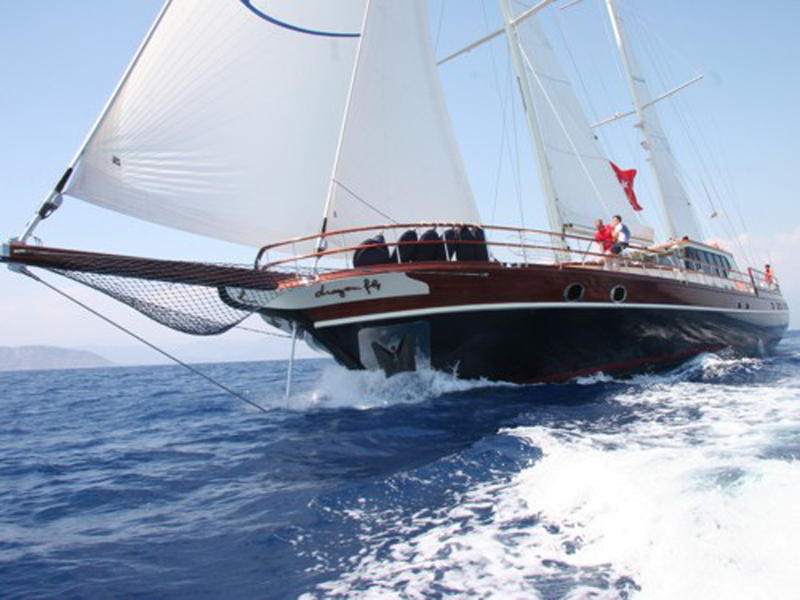 Sailing Yacht DRAGONFLY is a 39 metre (127’11’’) luxury vessel launched in 2004 and refitted in 2016. 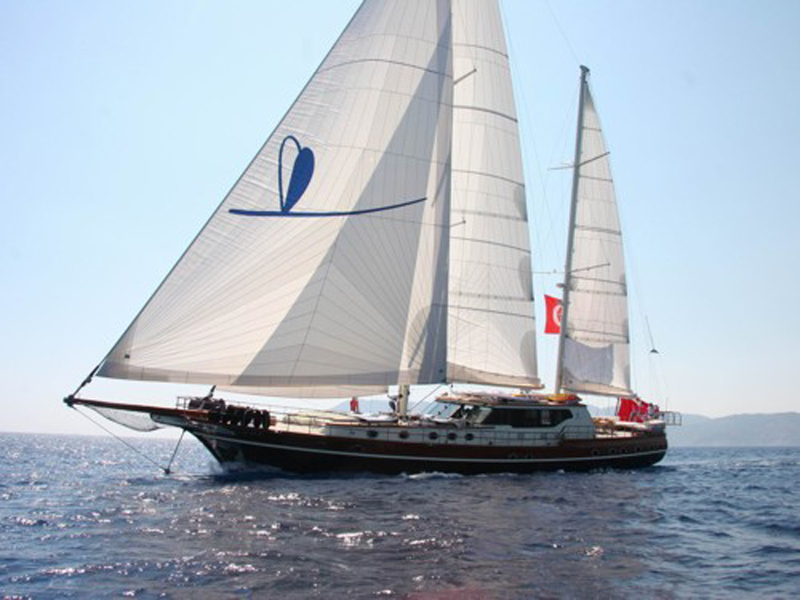 This beautiful and classic boat offers classical and elegant interiors, with simple furnishings yet inviting feel. Accommodation is offered to ten guests in five cabins, including three double cabins and two twin cabins, all with en suite bathroom facilities. 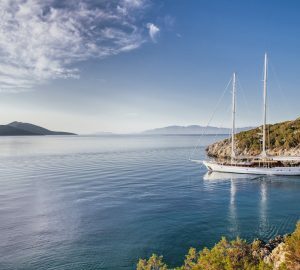 There is a crew of six to provide exceptional service to the owner and guests and take care of the day-to-day duties aboard the gulet. DRAGONFLY is fitted with two Cummins engines of 450ho each, allowing her to reach a maximum speed of 13 knots and a cruising speed of 10 knots. In 2016 S/Y DRAGONFLY received new interiors as well as renovated and redesigned exterior deck areas.